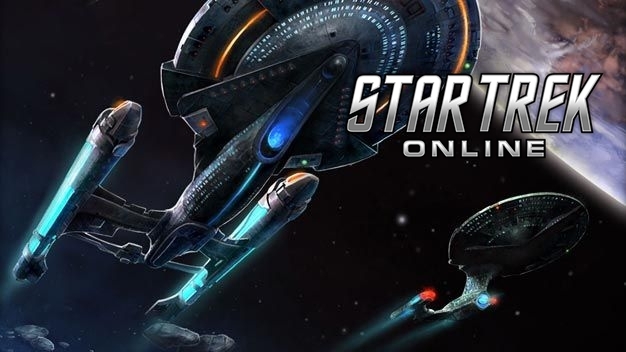 Star Trek Online is a MMORPG developed by Cryptic Studios, based upon Star Trek. It takes place 40 years after Star Trek Nemesis, in 2409. Released in February 2nd, 2010, the game has recently went Free-To-Play on January 12th, 2012. Star Trek Online (STO) is largely a combat based game but it does have a few other aspects to it. Along with numerous combat situations on the ground and in space, there is also Research and Development (R&D), Diplomatic missions, Duty Officers, and everyone's favorite, Player versus Player (PvP). In Research and Development, you can make weapons, armor, and other devices to use or even sale. Diplomatic missions can involve solving a dispute between species or investigating espionage. With Duty Officers, you can build up your offices and send them on their own missions, which if successful, can give you several different rewards. And in Player versus Player, you can find just how you good your ship is and even solve that age old debate of who is better. Imagine for a moment the fun and excitement of commanding your own ship and crew. Going on away missions, blasting Borg to smithereens, and even building a Starbase. In Star Trek Online, that's all possible. And guess what, you can join The Sci-Fi Network and have even more fun doing it. We are always looking for dedicated people to help us build our Starbase, blast away those nasty Borg, and on occasion play a bit of Dabo. If all of that doesn't convince you, then take a look at some of the things you can expect when you join The Sci-Fi Network in Star Trek Online.